Beaducation: The Blog: Swarovski Xilion Charms = more BLING! Swarovski Xilion Charms = more BLING! You can never have enough bling right? We have just added new bling to our product line! 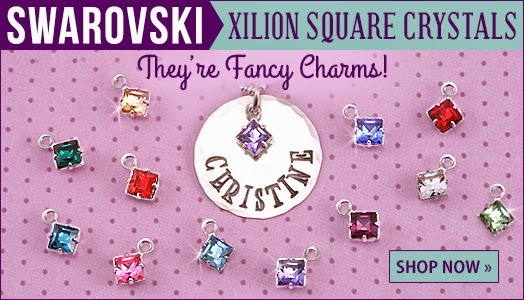 Introducing Swarovski Crystal Xilion Charms! These xilion-cut crystals measure 4mm square, and the entire charm measures 8mm including the loop. The loop will accommodate jump rings up to 18g. These are the perfect embellishment to any stamped pendant. We have them in all of the birthstone colors, making them them perfect for personalized Mother's Day gifts. Why not mix and match colors and shapes with our Navatte or Channel shape crystal charms?